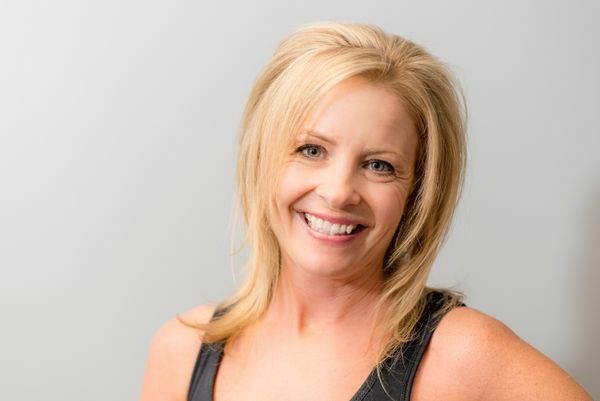 I have been in the fitness industry for more than 24 years (yikes! ), teaching mainly in the Medford, Mt. Laurel and Cherry Hill areas. Having started with a Yoga certification, I branched out to the world of Pilates Mat, Pilates reformer, and Barre classes. Being a cardio-junkie, I found my passion in teaching hard-core cardio workouts. I am known in the area for high intensity, energizing workouts having taught private and group classes such as body sculpt, cardio fusion, step, Boot camp, Spin, Spin with weights, and TRX classes. I am certified in Yoga, Pilates, Group Fitness, Barre, Personal Training and Spin. When I am not leading classes, you will find me running all around Medford getting ready for my fifth marathon and second Boston Marathon in April 2019. Residing in Shamong, I am married and have two children, Storm (14) and Aurora (11). I love high energy music with a steady beat and lots of pickups! My playlist (mostly alternative, some classic rock, a touch of hip hop, and a little Top 40) will drive the energy and guarantee a challenging, powerful ride! I can't wait to see you in a class!